Many parents ask us questions about elite schools in Hong Kong so we've compiled this FAQ list to answer some of them based on our experience. At this stage it would be useful for you read an article we wrote which was published in the April 2012 version of Hong Kong Parent's Journal. Click the link on the right. What makes a school 'elite'? Firstly, it should be said that the concept of 'elite' is subjective. There is no official 'elite' school classification and thus there is no black and white criteria to decide it. The elite schools in Hong Kong have earned the title as a result of reputation built over many years. Schools earn this prestigious reputation by consistently producing high quality students who are considered the cream of the crop - in other words, the best achievers. Elite schools are well known for high academic standards as well as strong performance in other fields such as sports and music. Is the English in elite schools more difficult than mainstream schools? It varies greatly from school to school but as a general rule, the level of English taught is significantly higher than that in mainstream schools. DSS schools have much more control over the curriculum than government aided schools and as a result they may choose to teach material that is very difficult. Some of our students learn things in P3 that are being taught in secondary school in mainstream education. Many elite schools include English literature in their curriculum. This is difficult to study but benefits students in their appreciation of English as a rich language. Some schools such as DBS and DGS include excellent literary fiction and poetry as core elements of their English programme. These schools update their curriculums regularly. Others use outdated English readers that have been in the curriculum for over 30 years. Do elite schools put emphasis on writing? Many elite schools have superior writing programmes. The amount of teaching time dedicated to writing and the amount of guidance varies greatly however. The top schools have writing tasks on a fortnightly basis with students writing 300 words per task by the end of Primary 6. Do the students perform well in public exams? Every year, when the HKEAA releases results, it is common to see success stories in the news. Many. but not all, of these students come from elite schools so the answer is yes. Do the elite schools value creativity? This varies greatly. Some elite schools encourage and positively nurture creativity, especially in writing. Other elite schools place more emphasis on 'model answers' and penalise students heavily for small grammatical errors which are inconsequential. How are students in elite schools assessed? Again there is great variance. For example, at the time of writing this, DBSPD primary school has an ongoing continuous assessment component for writing together with three main assessments which is manageable. MCS has so many quizzes and exams that students spend much of their time preparing for them. Others fall somewhere in the middle. How much time do I need to spend revising with my child? If you chose to put your child in an elite school you should be prepared to dedicate yourself to teaching your child. There are a very small number of parents whose children can manage alone. Supplemental teaching (either from parents or private tutors) is a way of life for most of these students. You should be especially prepared to spend intensive time with your child before assessments and exams. Are the English teachers native English teachers (NETs)? In some elite schools, all the English teaching is carried out by NETs. In others, similar to mainstream schools, the English teacher is a local teacher but the students have one oral session per cycle with a native speaker. The former situation is obviously preferable. Do all children thrive in elite schools? No. It depends on your child's character. Some children suit a non-academic non-assessment based structure and the environment in elite schools may actually hinder their development. Additionally, children with weak English schools may struggle for their entire school life and this could have long-lasting implications. How can I prepare for entrance exams for Hong Kong's elite schools? 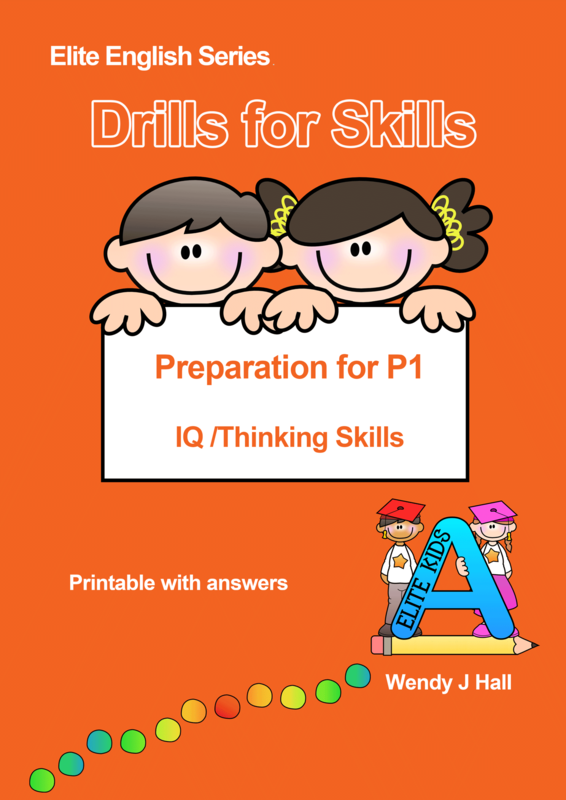 Our Drills for Skills exercises will help as well as generally exposing your child to as much English as possible. Also, entering the Speech Festival is very useful in developing the confidence for elite school interviews.